Have you ever found yourself tackling a boring, repetitive Import-Export task in Blender and felt like you were manually re-entering the same data? I know how mind-numbing this can feel. And I know a way to make it much quicker and simpler...how? With a little help of Blender’s Python API and just a bit of code. Who is this technique for? I will demonstrate the technique using Minecraft worlds as an example, but it is incredibly useful for anyone dealing with a scenario that involves repetitive steps. In this specific case, we will be opening our Minecraft worlds in a standalone application first, to export them as objs. From there, we’ll bring them into Blender with the default obj importer, followed by using Python to tidy them up and get them ready for rendering. 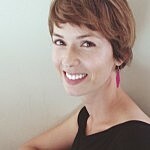 What do you need to know before getting started? If you’re completely new to Python, you might want to check out Bassam Kurdali’s Introduction to Python scripting for Blender Artists, Jonathan Williamson’s Task Automation with Python Scripting in Blender or even try out a couple of exercises on CodeAcademy.com. If you’ve experimented with the basics of Python in Blender but don't have much experience, then you should be able to follow along just fine. So let’s roll up our sleeves and get to grips with simple scripts! Before we get started, we need to make sure we have some files to work with. Remember: I am using the Minecraft example to demonstrate this technique. If you’re a Minecraft player yourself and want to render your own world, follow along with this part. Note: If you’re just interested in learning some Python, you can skip to part “To Blender!” and use the demo files provided. 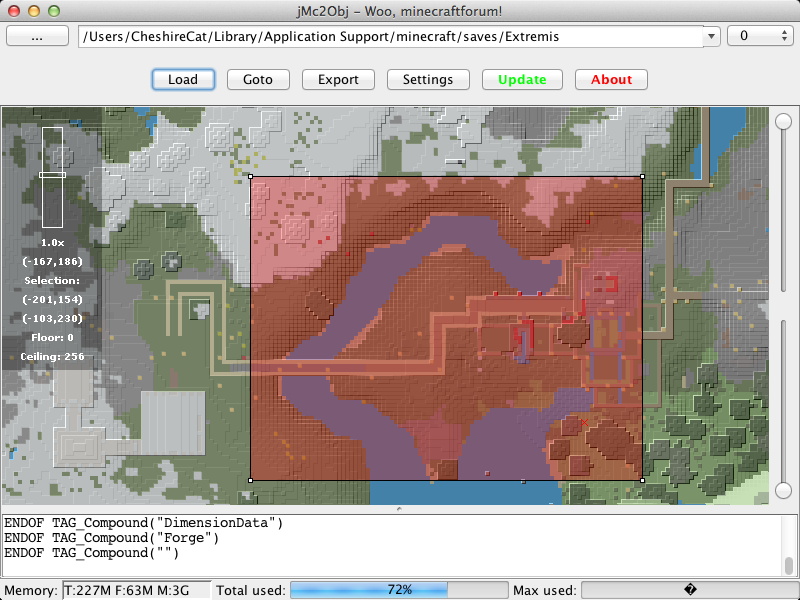 The application I will be using to export world files from Minecraft to obj files is called Jmc2obj. It’s a free Java application that takes your Minecraft world as input, lets you define a region that you want to export with a simple overhead map view of your world and then exports an obj file including all of the textures needed. Sounds fun, right? The Jmc2obj wiki has an in-depth guide to using the application, but I’ll list the basic steps here. First, download and run Jmc2obj. Next, select your Minecraft world save folder from the file select dialog at the top of the application window. This is the folder that contains your level.dat file. On Mac, the default for this is [User]/Library/Application Support/Minecraft/saves/[your level name here], on Windows it’s [User]/AppData/Roaming/.Minecraft. Once you’ve set the path to your world save folder, click Load to load your world. An overhead map of your Minecraft world will appear. Here, you can mark the region to export. It will be highlighted with a red box. The sliders on the right of the map allow you to set a floor and ceiling height to export to: Minecraft worlds extend from bedrock at height 0 all the way up to the top of the world at 256 blocks high. Sea level is at 62 blocks which means that if you only want to render the above-ground parts of your map you shouldn’t need to export much below this level. Experiment with the sliders to see what effect they have - if you cut above ground level you’ll notice black holes appearing in your map. Tip: Make sure you’re not exporting too big a region: start small and see how big an area you can reasonably handle in Blender. Once you have selected your desired region, your are ready to export an obj file and your textures. Click Export to bring up the export dialogue. We’re going to leave things set to the defaults for the most part, but an important option to enable is the Create separate object for each material option under Show Export Options. We’ll be using this later to make it easier to assign materials to our scene. Set a new save folder for the obj file to be exported to. 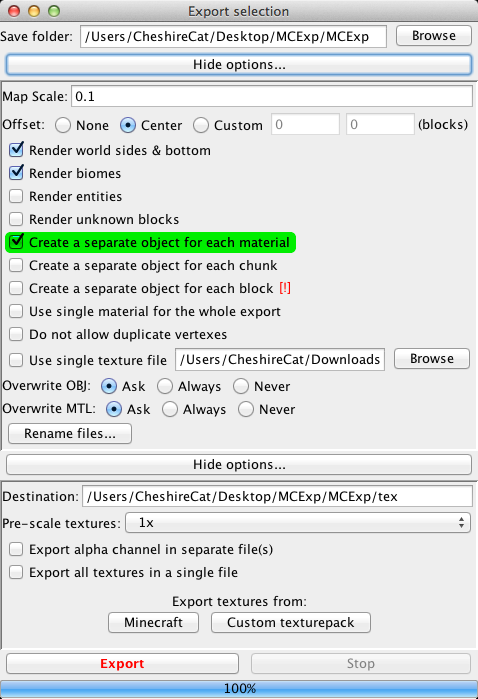 Under Show Texture Options we also need to set a destination folder to export textures to. We will use a subfolder of the folder we used for the obj file called “tex”. You can then click the buttons to export textures. These can either be from Minecraft for “vanilla” Minecraft textures, or from a Custom Texturepack. I like the Sphax texture pack, which features nice cartoony textures. This brings up a file select dialog, which you need to point at the zip folder containing the relevant texture pack. You’re almost done! 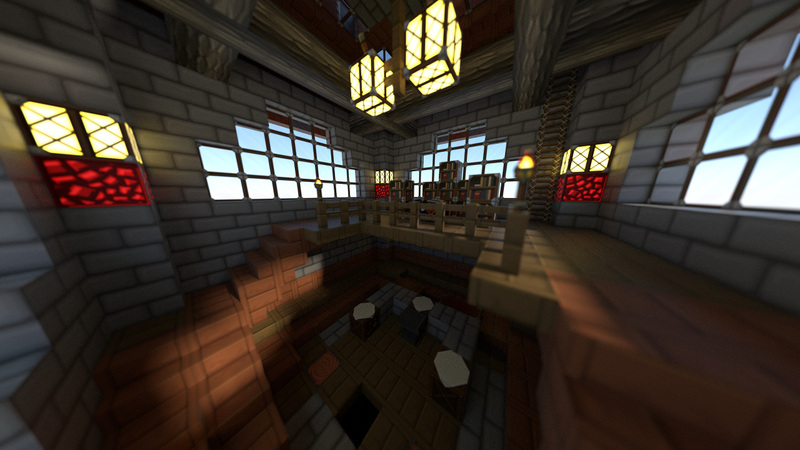 Click Export to export the obj file of your Minecraft world. The “Split” option of the obj importer (on by default) has split all the different block types into separate objects, each named after its material. Also, while we’re still in Blender Internal, we even have basic materials set up for rendering in BI. Things are looking pretty good! Now, lets switch over to Cycles. This, on the other hand, is not so great. In Cycles, we’ve just got some basic block colours for our blocks. Objects like torches and grass that require alpha maps to look “right” are in an even worse shape - our materials aren't set up at all for rendering in cycles. Here is where you may be thinking: “Oh no, I have a lot of tedious work ahead, creating a whole bunch of new materials.” But do you really? A bunch of objects, one for each material we need to create. Each object is named after the image it needs to use for it’s material - for example, the object called “dirt” uses the image “dirt.png”. All the image textures we need are already loaded into Blender as image texture blocks (the obj imported them when it set up our BI materials for us). A basic shader. The classic mix of diffuse and a little bit of glossy finish might look good. Some of our materials need transparency, such as those for grass, leaves, water and other natural objects. We might want to make more modifications to certain specific objects, such as adding emission to torches or refraction to glass and water. However, these are tweaks we can make by hand later, once the repetitive work is done. Take a list of objects from our Minecraft scene that need materials. Delete/Overwrite the current material (which was set up for BI anyway). Apply a copy of a basic template shader (which we can create in advance). Set up an image node for the new shader with the correct image textures. Apply these image textures to the diffuse and alpha channels of our material. And that’s it! We can then make our own tweaks later. We have almost everything we need for our script already, but there are still a couple of things missing. First, it would be handy to have a simple way of defining a list of objects that need assigned materials. Why? 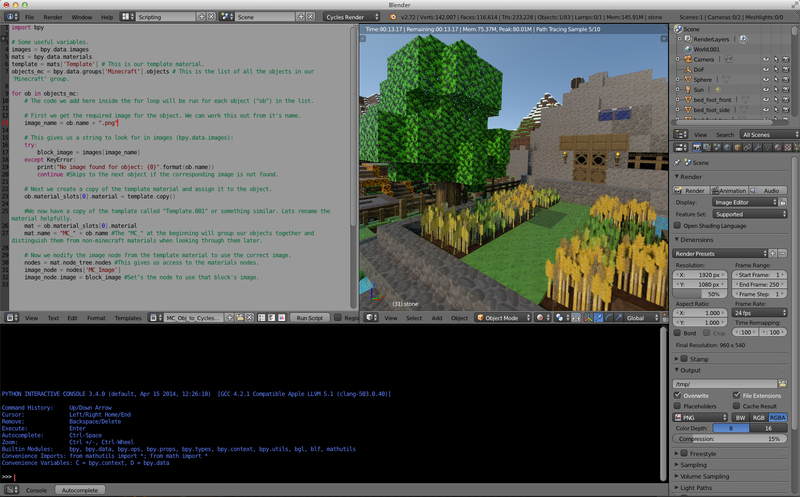 In case there are non-Minecraft meshes in our scene (like lamps or cameras) the script won’t need to waste time on them. This can be accomplished pretty easily by assigning our Minecraft objects into a Group which we’ll call “Minecraft” for simplicity’s sake. We can then make our script only work on objects that belong to this group. Second, we need our template material. This is going to be used as the basis for all of our other materials so it needs to be both versatile and as simple as possible. Here’s how I laid it out. The material uses the classic mix of Diffuse + Glossy shaders, blended with a layer weight node. The image texture node (which will later be assigned one of our many Minecraft texture images) is plugged into the Colour Node of the Diffuse Shader. For the transparent parts, we then mix the result with a transparent shader, according to the alpha value of our Image Texture node. Note that we can use this for all our materials; for ones with no transparency, the alpha will just default to white. For now, the Image node is left empty (hence the purple), but you can test the setup with some Minecraft textures to check whether it works. Naming tip: Because we’ll need to replace the Image used by the Image node, it helps to give it a name you can easily reference. I set the images name to “MC_Image” in the sidebar of the Node Editor and set the label to the same so that the node’s name is visible on the node itself too. What's next? This is a useful time to set up some basic lighting, a camera and anything else we might want to help us preview our scene as we work. I added a background shader with a sky texture node and a sun lamp for some simple outdoor daytime lighting. Next, we can add in some useful variables that we’ll use repeatedly. 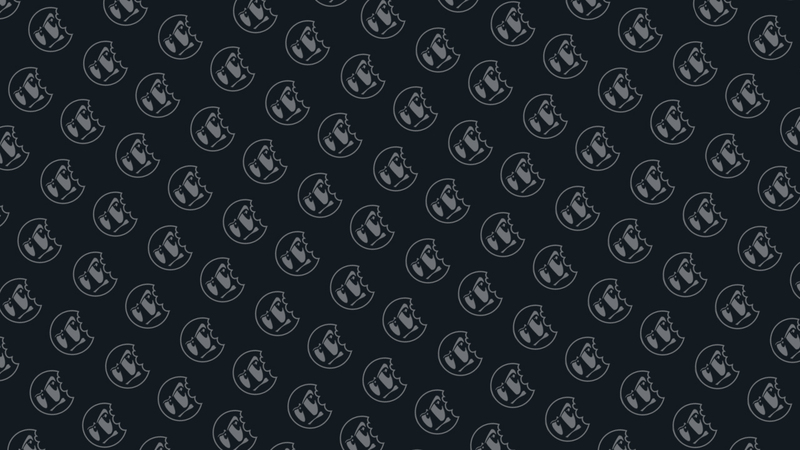 We’ll comment our lines with # symbols to make our code easy to follow. template = mats['Template'] # This is our template material. # This is the list of all the objects in our 'Minecraft' group.# Some useful variables.images = bpy.data.imagesmats = bpy.data.materialstemplate = mats['Template'] # This is our template material.objects_mc = bpy.data.groups['Minecraft'].objects # This is the list of all the objects in our 'Minecraft' group.# Some useful variables.images = bpy.data.imagesmats = bpy.data.materialstemplate = mats['Template'] # This is our template material.objects_mc = bpy.data.groups['Minecraft'].objects # This is the list of all the objects in our 'Minecraft' group. With those variables in place, we can start working through our list of objects, using a for loop function. A for loop takes an iterable (for example, our list of Minecraft objects), and runs the code within the loop for each item in that iterable. For our list of objects, this allows us to set up a copy of the template material unique to each object. # The code we add here inside the for loop will be run for each object ("ob") in the list. # First we get the required image for the object. We can work this out from it's name. image_name = ob.name + ".png"
continue #Skips to the next object if the corresponding image is not found. # Next we create a copy of the template material and assign it to the object. # We now have a copy of the template called "Template.001" or something similar. # Lets rename the material helpfully. # them from non-Minecraft materials when looking through them later. # Now we modify the image node from the template material to use the correct image. nodes = mat.node_tree.nodes #This gives us access to the materials nodes. image_node.image = block_image #Set's the node to use that block's image. #We can now jump back out of the for loop, but there's not much else we need to do. print('Finished!') #Prints a notification to the terminal. # This is the list of all the objects in our 'Minecraft' group. # First we get the required image for the object. We can work this out from its name. continue # Skips to the next object if the corresponding image is not found. viewport as it's helpful for navigation. # ADDED! Sets the diffuse colour for the viewport back to the stored colour. nodes = mat.node_tree.nodes # This gives us access to the materials nodes. image_node.image = block_image # Sets the node to use that block's image. # We can now jump back out of the for loop, but there's not much else we need to do. print('Finished!') # Prints a notification to the terminal. You might notice that I’ve added in a couple of lines here as a final tweak to the script. If you have been following along, you know that when you run the script, the viewport colours of your objects switch to all grey. This isn’t particularly helpful when trying to distinguish a dirt block from a water block! To tackle this issue, I inserted the lines (with the comment “ADDED!”) to the script to preserve the original colour of the material. What specifically did I add? Line 22: a variable called “viewport colour” that grabs the original colour of the BI material before we overwrite it with the template. Line 28: I’ve set the viewport colour of the new material back to the stored value. Now that our Python script has done all the hard work of setting up a basic shader for all the materials we need, we can make a few changes to our scene and start finding some cool camera angles. I chose to switch the “MC_torch_flame” material to use an Emission shader in place of a Diffuse shader and added a refraction shader to the water materials (there are two shaders - one for still water and one for flowing). I’ll leave any other tweaks as an exercise for you, but here are some renders to get you thinking. So what did we achieve? 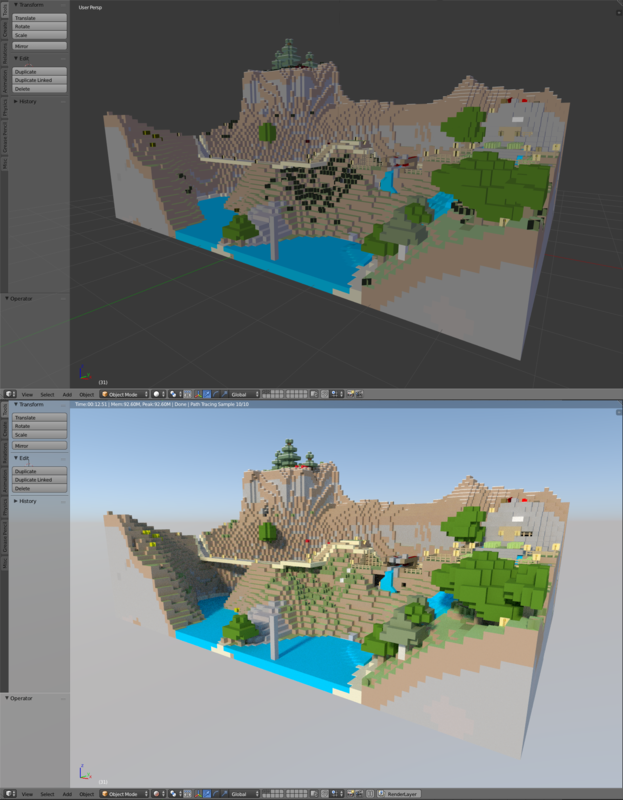 We started out with an obj file exported from our Minecraft world which came with lots of useful data (the names of our materials and images), but wasn’t set up for rendering in Cycles. With our Python script, we started with one basic template material and created a unique copy for each of the many materials in our scene, with the correct textures plugged into each one. Hopefully, this shows you how a bit of simple Python can make boring, repetitive tasks much quicker and allow you to get to the fun parts of creating an interesting render sooner. 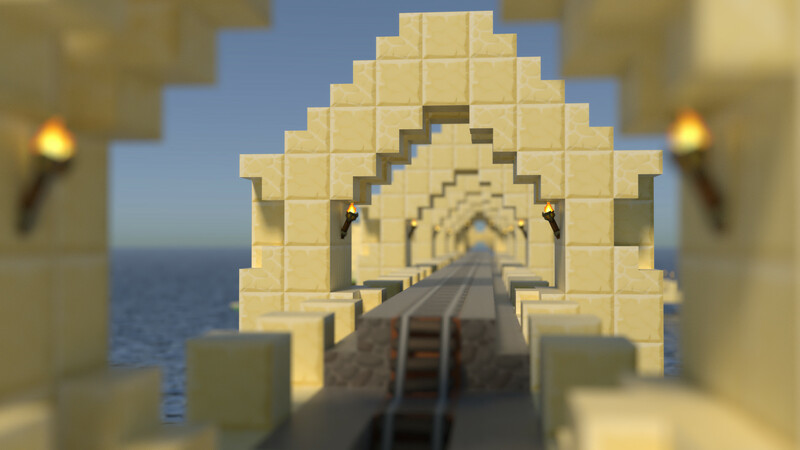 Remember: this technique doesn’t just apply to Minecraft renders. Anytime you’re working with a pipeline and have a creeping feeling that you could be using data to achieve a result in an automated way rather than manually, it’s likely Python is a good way to go. Will you be giving this technique a try? Let us know in the comments. Incorporating the obj import and grouping steps into the script. Adding some exceptions to the script for certain materials, so that they can use a different template. Turning the script into an add-on that so that you can quickly access it and use it again and again. Ben Simonds, is a Blender Artist based in the UK and the author of Blender Master Class. 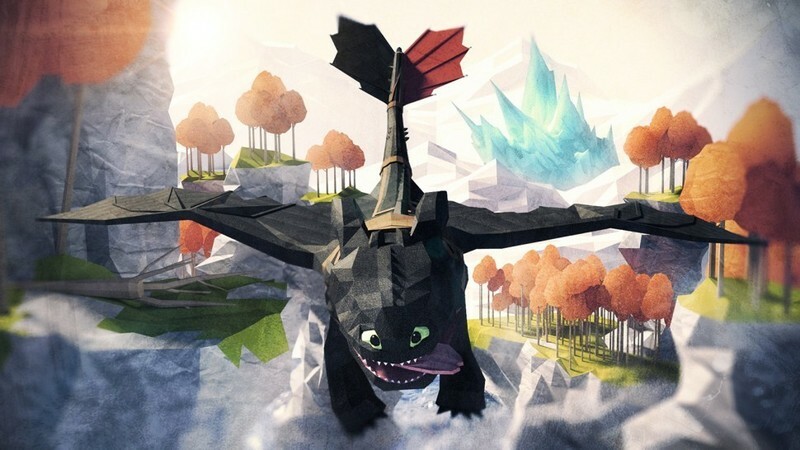 In the past he’s worked on ads, product visualisation and a couple of TV shows, all using Blender. You can find his personal work at BenSimonds.com. Fantastic! Nice topical example as well, thanks a lot. Very cool, will definitely give this a try. Thanks for the tut!